The "fun" page - FLAVORS!! First of all, let me say that I am a home-based cake decorator - my kitchen has not been inspected by the Department of Health although I do practice strict cleaning guidelines. I also have my Safe Food Handling Certificate for Cottage Food Operators as well as my Food Handler Basic Food Safety Certification. ﻿I have been decorating cakes since 2008. I truly enjoy taking someone's idea and turning it into something edible that they will LOVE! Most of all though, I want to have fun with my cakes! I believe that when food is cooked or baked with a great attitude, you can really tell! 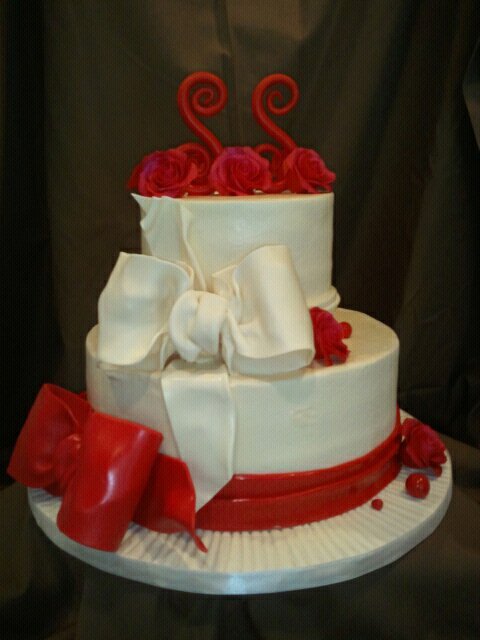 Please feel free to contact me regarding a cake for your special event! Or let me know if you have any questions! Or better yet...if you've placed an order with me, let me know how the cake was - give me some feedback! I'd love to hear your thoughts! !